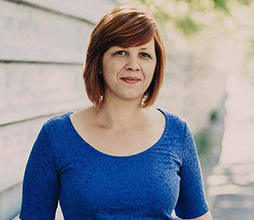 Daniela Širinić is the postdoctoral researcher on the project Disobedient Democracy. She also works as Postdoctoral Fellow at the Faculty of Political Science (UNIZG), teaching statistics and research methods in comparative politics. She received her master degree in political science (MA 2009) and her doctorate from the Central European University (PhD 2016). As part of her doctorate, Daniela also spent a year as a Visiting Fellow at Vrije Universiteit Brussel. Her research interests lie at the intersection of comparative politics and research methodology, substantively on topics of political behaviour and political representation of, broadly defined, minorities, with a particular emphasis on the achievement of political inclusion and equality of citizens in the processes of representative democracy. Since 2016 she is also director of the Croatian Policy Agendas Project and is currently working on a series of papers that look at the dynamics of political agendas in Croatia and especially on the interactions between legislative, government and media agenda setting. Dolenec, Danijela i Širinić, Daniela (2017) ‘Green Flash in the Croatian Pan: Green Party Survival in Post-Socialist Europe’, East European Politics & Societies and Cultures (forthcoming). Širinić, Daniela i Šipić, Josip (2017) ‘Are there any ties left? Party characteristics and age-based differences in party-voter linkages’ in Knijn, Trudie & Manuela Nadini, Gender and Generational Division in EU Citizenship, Cheltenham: Edward Elgar Publishing (forthcoming). Širinić, Daniela i Constantin Manuel Bosancianu. (2017). Génération Désenchantée: Satisfaction with Democracy and Income Inequality. Politička misao, 53(4), 51-73. Karan, Mladen, Jan Šnajder, Daniela Širinić i Goran Glavaš. (2016). Analysis of Policy Agendas: Lessons Learned from Automatic Topic Classification of Croatian Political Texts., u Reiter, Niels i Beatrice Alex (ur.). Proceedings of the 10th SIGHUM Workshop on Language Technology for Cultural Heritage, Social Sciences, and Humanities (LaTeCH 2016). (str. 12-22). Taberg Media Group AB, Association for Computational Linguistics (ACL). Širinić, Daniela. (2016). Inequality in Congruence: Gender Gap and Electoral Rules. Politička misao, 52(4-5), 124-141.